The weather has turned decidedly colder, at least the days are starting to lengthen if only by a few minutes a day, by the end of the month it should be more noticable in the mornings. 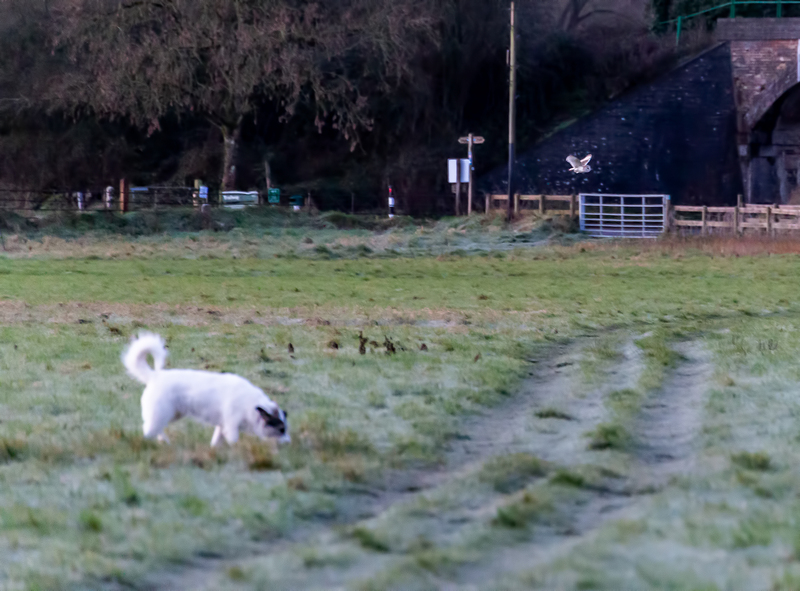 On Tuesday 22nd January the morning was chilly with a little light cloud and frost, there had been rain in the night which I should have realised it usually means the Barn Owl might be out later than usual trying to find a meal. So it gave me quite a surprise when I got over to Bere Marsh and spotted him quartering the field that Tilly and I were in. I only had me 300mm telephoto and it was still fairly dark but I attempted to get some photos. The Owl spent quite awhile in the field and was not bothered by Tilly. I can only assume he thought it was one of the Bere Marsh farm goats as Tilly has similar colouring! 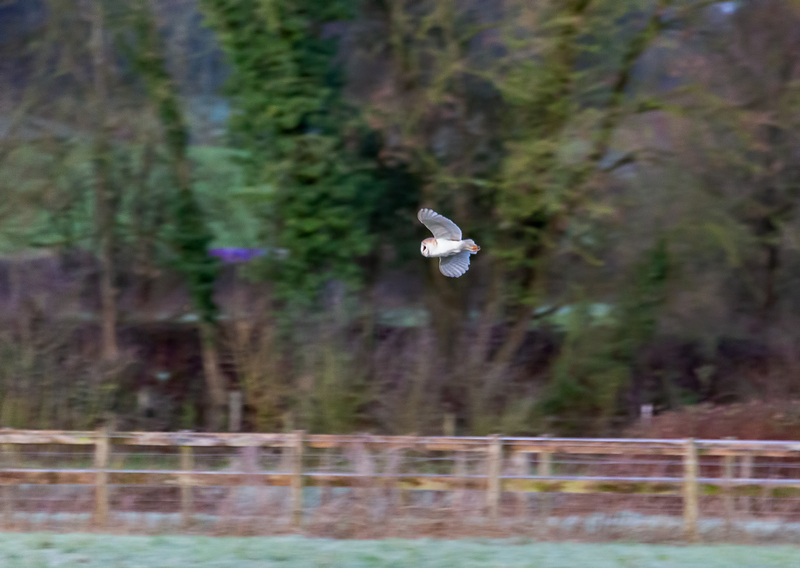 Well it must have been a Barn Owl day because when I came back from Camera club at 10 o’clock at night I was coming over Gains Cross at the other side of Shillingstone a Barn Owl was flying along the verge, another lovely surprise! Barn Owl above the gate. The next day was colder than ever and due to rain in the night and low temperatures, the roads around home were lethal. It was a lovely morning when Tilly and I set out and I planned a route where I wouldn’t have to walk on roads. I ended up at Farrington and I could walk along the verge of the road so I managed to stay upright! 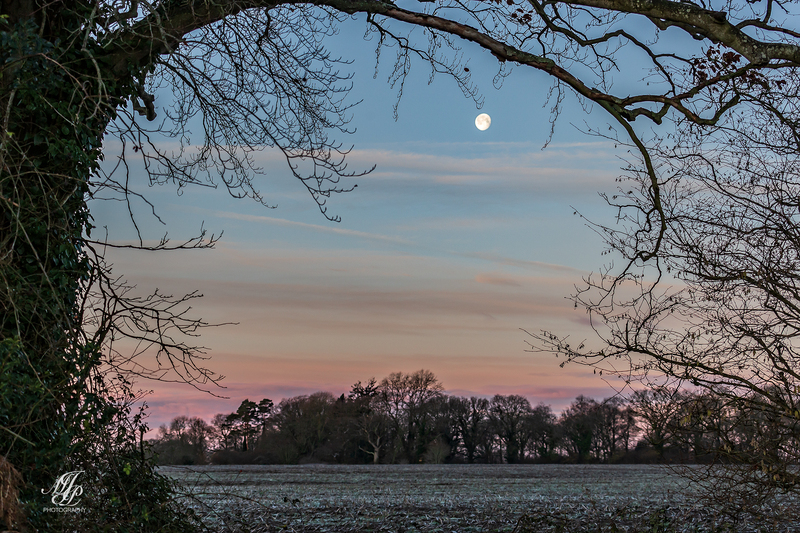 The moon was still putting in an appearance in the early morning after the eclipse and blood Wolf moon earlier in the week although waning it still looked impressive. I was hoping to see the eclipse but unfortunately it turned cloudy overnight so nothing to see. 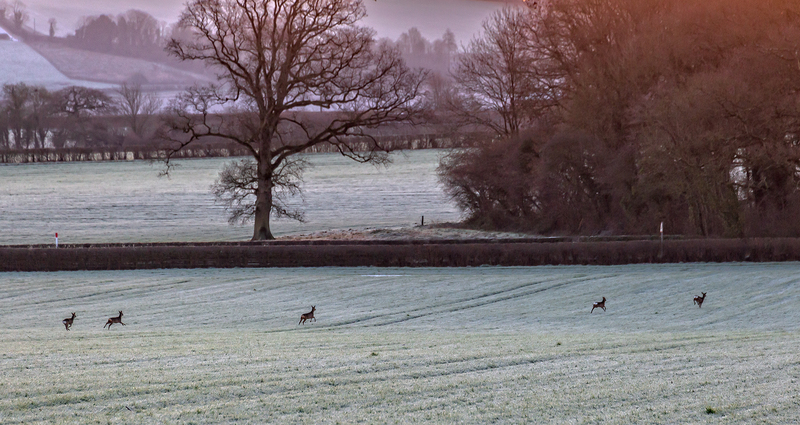 As I was walking up the verge of the road I just spotted five Roe Deer heading in the other direction! 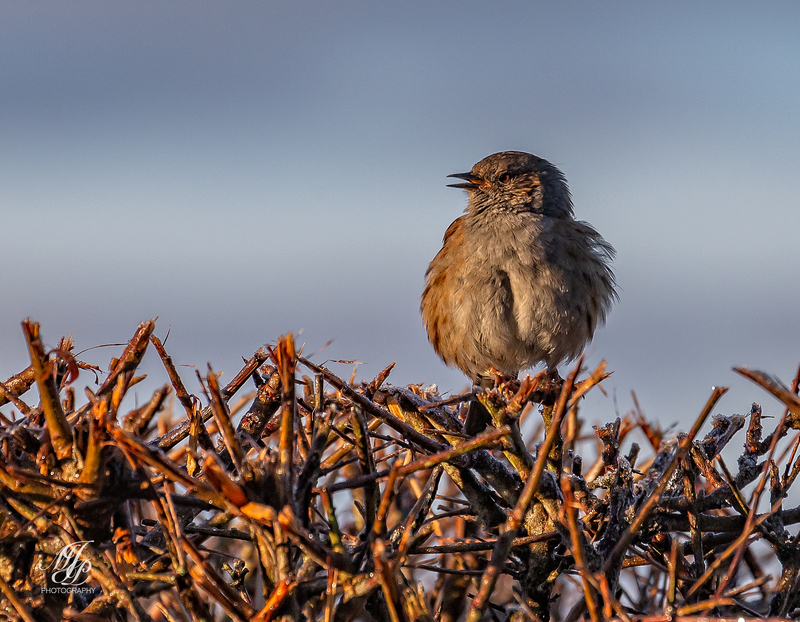 On the way home I spotted this Dunnock singing on top of the hedge in the early morning sun! I had been out two hours and enjoyed my breakfast and a mug of tea when I got home!